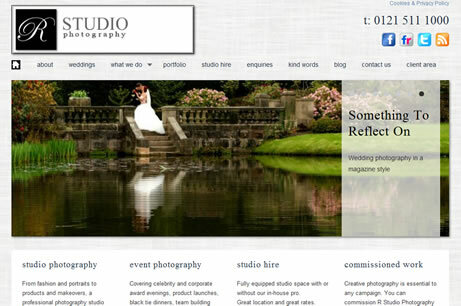 The website is built into a Content Management System as the clients need to be able to upload photos regularly. It includes a Client area which includes a gift certificate and public viewing area as well as password protected albums and an e-commerce facility. A comprehensive gallery layout allows upload of photos easily into as many galleries as required.